Andrew Pauwels is a litigation attorney who focuses on assisting with media law litigation, complex commercial litigation, and intellectual property litigation matters. He has experience litigating disputes in various state and federal courts, in Michigan, and throughout the country. Andrew represents clients in various phases of litigation and has significant experience drafting motions, including dispositive motions, and managing discovery issues. 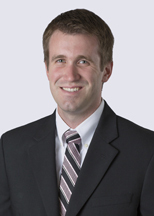 He serves the firm as a member of the Summer Associate Committee.